First, an Oscars analysis in light of Thursday’s nominations: The Golden Globes seem to indicate that Argo still has an edge over Lincoln but that Daniel Day-Lewis and Jessica Chastain are still frontrunners in the acting category. In the Comedy/Musical category, the competition was solely between Silver Linings Playbook and Les Misérables. Anne Hathaway is closer to a lock for Best Supporting Actress, but I think the momentum for the film itself and for Hugh Jackman, ends here. The real battle seems to be developing between Jessica Chastain and Jennifer Lawrence…and I think Daniel Day-Lewis and Bradley Cooper. This picture of Ben and Casey Affleck is just TOO CUTE. Ben Affleck may win every directing nomination he’s received, and rightly so, which makes the Oscar snob all the more confusing. I get Oscar snubs are a necessary component of the process, and that this was a great year, but this is a head-scratcher. Nevertheless, he deserves the accolades. Go Ben! And Argo! Love him. Mental note: what role has inspired this newly buzzed look? Not quite sure who was favored for Supporting Actor (perhaps Alan Arkin or Tommy Lee Jones?) 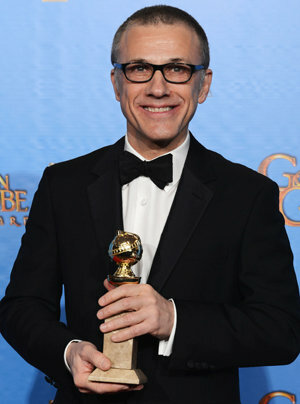 but I adore Christoph Waltz, so *I* favored him. Then again, he has to contend with Robert De Niro for the Oscar, and that’s a tough race. Great performances in both. If Christoph Waltz was a surprise, Quentin Tarantino for Best Screenplay was shocking. I also think he was most deserving; I mean this is an original screenplay in a mixed category of both original and adapted. Weird category that makes much more sense separated, like at the Oscars. Glad that pan over the audience showed I wasn’t the only one crying as her speech kept hitting different emotional beats (here’s the transcript). I was just so unprepared! Most of these achievement awards are, lets be honest, super boring. From the way she addressed her ailing mother and hints about “retirement”…it was like breaking the wall that glittery award shows put up. We like to see stars schmoozing with other stars and seeing them as “real” people. But it’s all so fake. Leave it to a notoriously private actor to shatter those expectations. We don’t know Jodie, but because of her celebrity…we do. And this swan song of sorts is affecting because of that familiarity. Fascinating, moving stuff. How awesome is Jessica Chastain, seriously? So sincere. On the E! Red Carpet she stopped to tell Naomi Watts how great she is in The Impossible and how much she loved it (before being shooed away by Ryan Seacrest). So, ties were optional this year Ewan? What is this nonsense? Ewan McGregor not-so-shockingly did not win for Salmon Fishing in the Yemen, but did get to have a chat with George Clooney (that I spied) and plenty of others, probably. I just wish he was there to support The Impossible. Eddie Redmayne looked quite dapper, of course. If we are all being honest, a Golden Globe nomination is little more than a chance for the real Oscar contenders to continue their campaign, and for some of the kookier nominees to enjoy in the randomness of the Hollywood Foreign Press Association. The SAG awards can be telling of Oscar contenders as well but it’s really all about “actors celebrating actors” and a really nice party, I’d imagine (and more campaigning). But things are looking good for some deserving folks, and I feel way more committed to this awards season than last year (ugh). Also, I can’t help but be excited for the Amy Poehler/Tina Fey power hour. To recap, I LOVED Argo and despised The Master. Ben Affleck got a very deserving nod for a Golden Globe in the Best Director category. Alan Arkin was the only actor nominated, in a supporting role. The movie as a whole was nominated for both Best Drama and Best Screenplay, as well as Best Score. Argo is also nominated for Best Ensemble Cast at the SAGs, and I gotta say, it is tough to beat. On the other hand, while voters seem to be in agreement that The Master is not great, Joaquin Phoenix, Amy Adams, and Philip Seymour Hoffman are still getting acting nominations. Which is okay, I guess. They did good work. While I am championing Argo, I am full-on obsessed with Silver Linings Playbook (Golden Globe Best Comedy/Musical, SAG Best Ensemble). Bradley Cooper: best role I have ever seen him in (GG Best Actor Comedy/Musical, SAG Best Actor). Jennifer Lawrence is as fantastic as she is crazy and fragile (GG Best Actress Comedy/Musical, SAG Best Actress). And as the cleverest sort-of rom-com I’ve seen in years, it is very deserving of its GG Best Screenplay nod. However, it is shocking that the Golden Globes bypassed Robert De Niro, who gave his best performance in years; he was nominated for a SAG award, which hopefully keeps his Oscar nomination chances afloat. The early praise for Django Unchained and Zero Dark Thirty is being supported by multiple nominations for both films. Where they fit in with Argo and Silver Linings Playbook, in my opinion, is yet to be determined but I am excited to check them out. Both are nominated in the Best Drama category for the Golden Globes and both directors, Kathryn Bigelow and Quentin Tarantino, are nominated. They also both received noms for Best Screenplay. For Django, one of my favorite people in the world, Christoph Waltz, is nominated alongside Leonardo DiCaprio. Meanwhile, another one of my favorite people, Jessica Chastain is nominated for Zero Dark Thirty, at the Golden Globes and the SAGs. 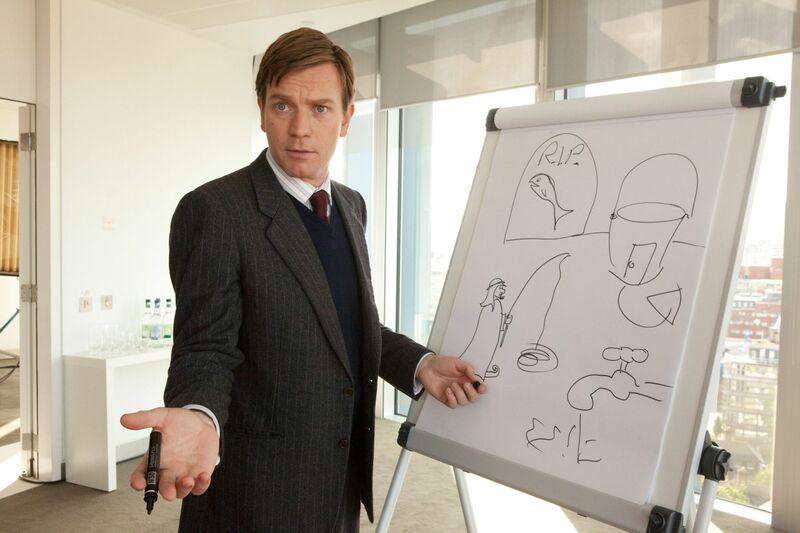 SURPRISE: For some reason, the Hollywood Foreign Press Association really felt the need to recognize Salmon Fishing in the Yemen, with a nod for Best Comedy/Musical, and acting nominations for Emily Blunt and Ewan McGregor. I don’t have anything against the film, I actually own it. (I am contractually obligated by myself to own every Ewan McGregor movie so this hardly counts either). It is just one of those bizarre instances when a little talked about film from months ago pops for a run at gold. But I would much rather have Ewan nominated for his work in The Impossible at the Oscars. I have not seen The Sessions but I will never not be ecstatic over recognizing John Hawkes, which the HFPA and SAG both do. People claim that The Sessions is pure Oscar bait and I see where they are coming from, but John Hawkes has so many more unrecognized performances that this makes sense to me. Not wholly unexpected, but still surprising: Rachel Weisz snags a Best Drama Actress nod for The Deep Blue Sea. It is always nice to see her recognized (I love her) and I did like the performance (and the presence of Tom Hiddleston, naturally). My poor beloved Cloud Atlas is nominated for Best Score. As well it should! The Hour is nominated for Best Miniseries (? ), hooray!! 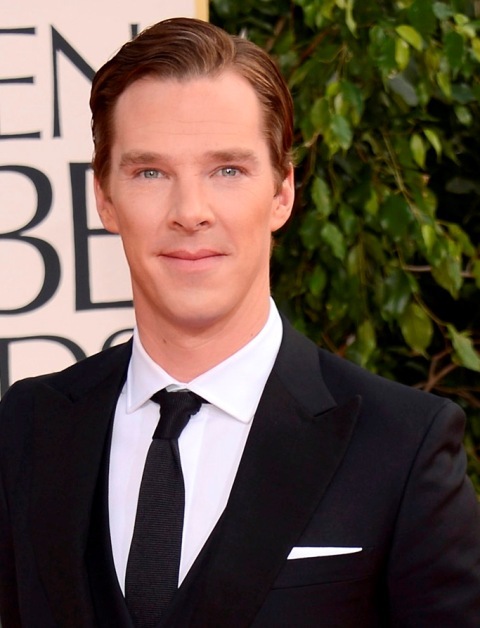 Sherlock is not; but Benedict Cumberbatch is nominated for Best Actor in a miniseries. Weird. "The Tourist," Ricky? That is some hard hitting stuff. Except it took me about 5 minutes to remember that film existed. People I feel should have been recognized: Amy Poehler, Bryan Cranston, Kelly Macdonald. Downton Abbey–Should Downton be in the mini-series category, no. But, this is the Globes. (And just for fun, this Tumblr mashes DA and Beyoncé lyrics and is awesome). Homeland–Breaking Bad was the best drama but I think Homeland needed this extra push for public recognition; also Breaking Bad wasn’t nominated…um…okay? Claire Danes absolutely deserved that award for her amazing performance as Carrie Mathison. Best Screenply for Midnight in Paris (I feel out of the options Woody Allen should have gotten Best Director as well). The actual interview is available here–in written and video form. What the hell is Hugo about? I get absolutely nothing from trailers or from the clips shown at the awards. I refuse to actually look up the synopsis. I officially need to go back to watching Luther, find a way to get my hands on Appropriate Adult (after missing it twice on television) and give Enlightened a watch on HBO GO. The Hugo thing may not be the film’s fault. Who compiled these reels? The one for Midnight in Paris is completely misleading and spoilery—it gave away what happens to the private detective!